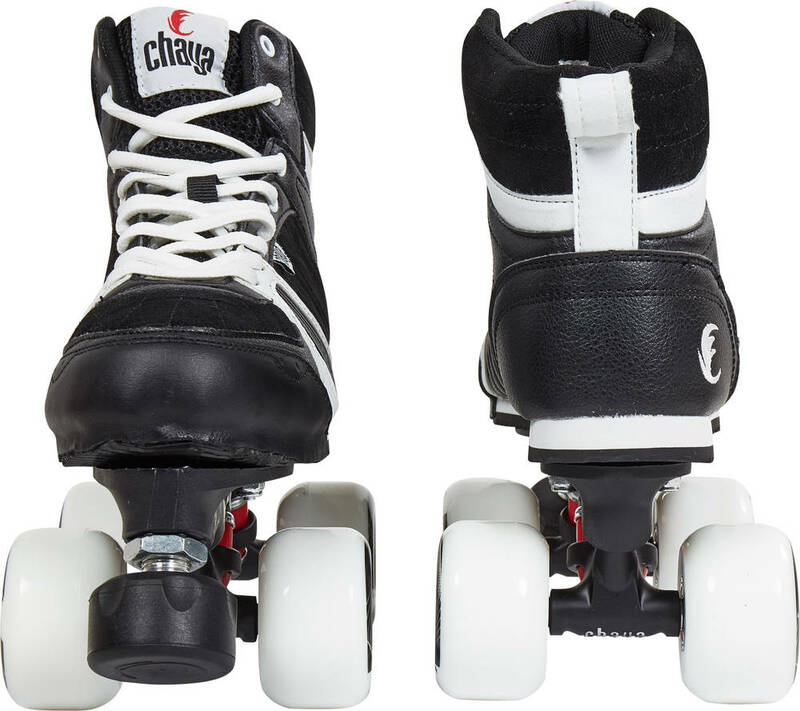 The plates on these roller skates are Chayas Shari plates. They are made with a mix of nylon and fiberglass for a strong lightweight plate. 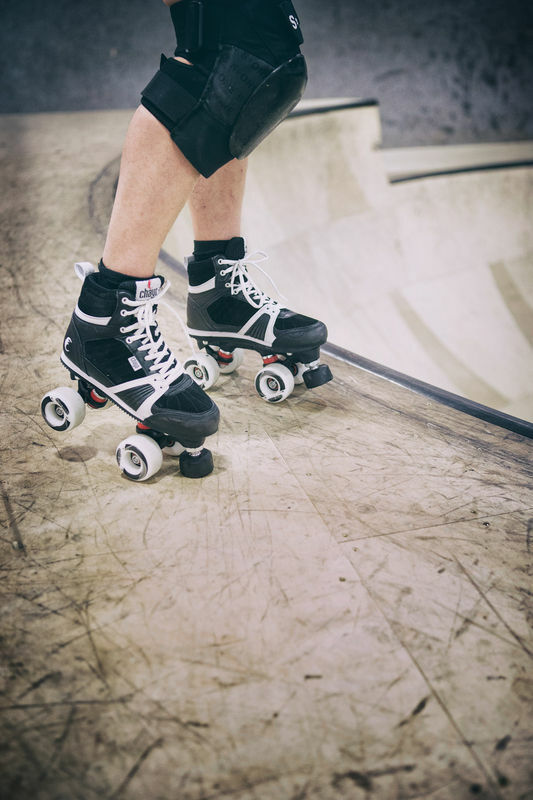 Along with the 20° cast aluminum trucks and Jelly Interlock cushions, you get a highly maneuverable quad roller skate that is fun to skate and easy to control. I am really loving these skates so far! 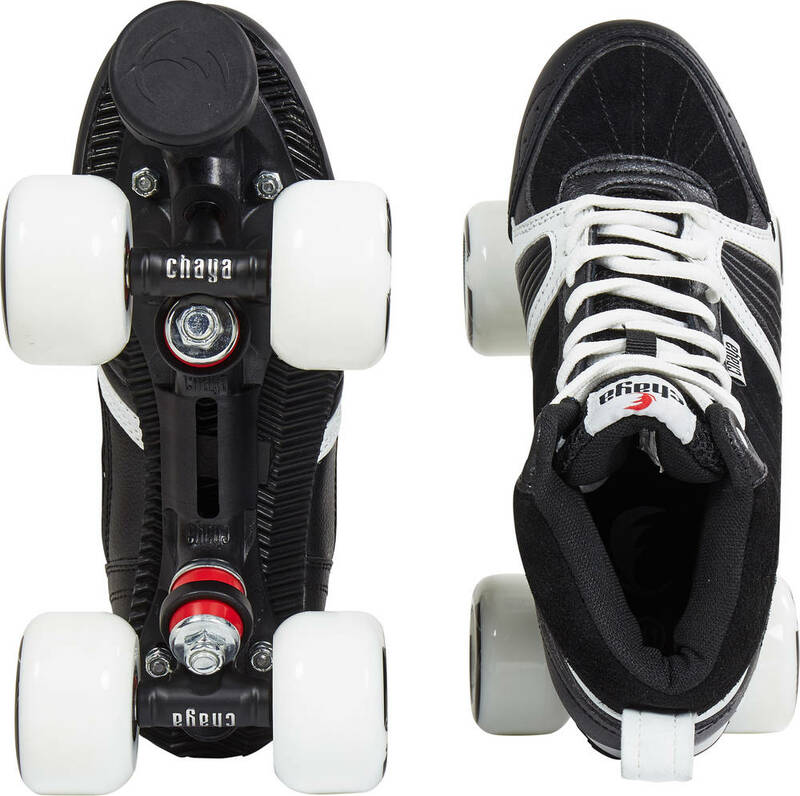 The boot is very comfortable, and the whole skate is very light. They do run a little small compare to other brands of skates. I have worn a 7 in other skates, but an 8 fits well for these. Overall very happy with my purchase, although I do wish they came with a smaller, harder wheel since they are designed for park use. As a new skater, these skates are amazing. Incredibly comfortable, lightweight, and look great. The stock wheels and bearings are awesome, I don't feel the need to replace immediately like with other stock components. Absolutely in love with them. 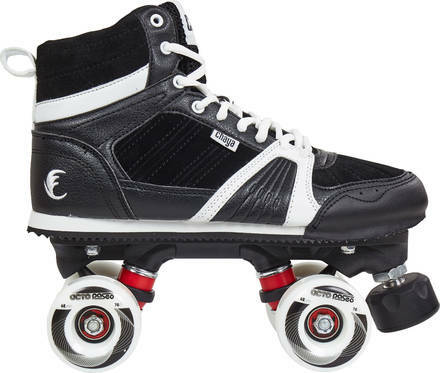 These are a great pair of Rollerskates. They are very comfortable, fast, lightweight and have a unique look. I was very impressed with these skates as well as the friendly help and advice from skatepro..
Great skates for its price range.